I am a MAD collector in New York. 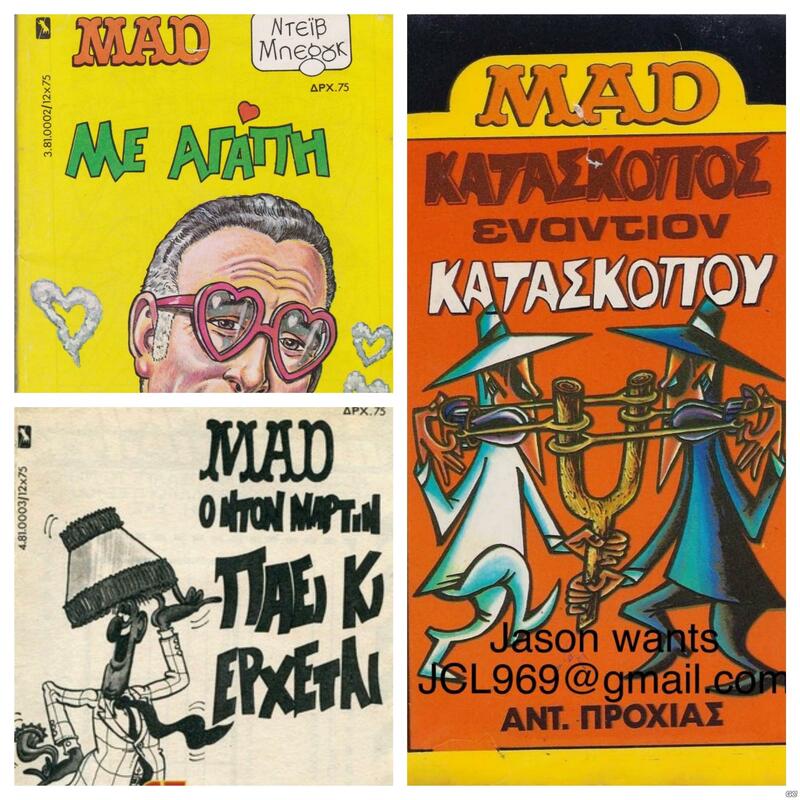 I am currently looking for any of the 3 MAD paperback books sold in Greece, they are all from 1981. I have attached a photo. I am happy to purchase them or if you prefer we can trade. Any help is greatly appreciated. 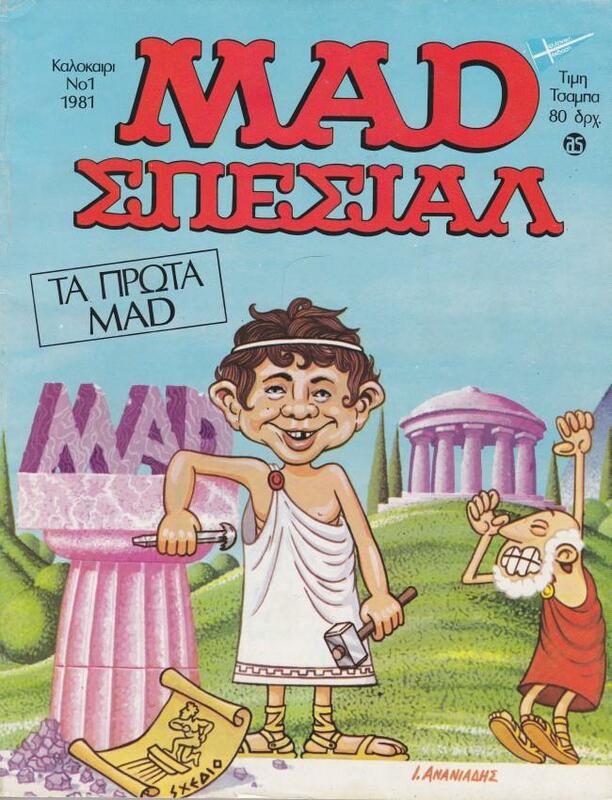 Είμαι ένας συλλέκτης MAD στη Νέα Υόρκη . Είμαι σήμερα ψάχνουν για κάποιο από τα 3 MAD βιβλία τσέπης που πωλούνται στην Ελλάδα , είναι όλα από το 1981 . Έχω επισυνάψει μια φωτογραφία . Είμαι χαρούμενος για την αγορά τους ή αν προτιμάτε μπορούμε να συναλλασσόμαστε . Κάθε βοήθεια είναι ευγνώμονες . and i will be happy to trade with you. PM me here or at info@mycomics.gr for the rest. Thank you Kostas!!! I am thrilled to have met you and have your help with the books. I am very excited about these. And thank you to www.greekcomics.gr for connecting us. This is a lot of what I love about collecting international comics, I get to meet great people around the world.